“I mean we all have types,” said Jezebel’s Managing Editor Kate Dries this morning as we discussed a very famous man’s newest companion. And she’s right! We do all have types. We are immediately drawn to certain hair colors, heights, and bodies. But some of us look more deeply into a person before choosing them as objects of our lust. We want to know about their passions. About their careers. We want to know what makes them tick. Take Leonardo DiCaprio, for example. Beyond just physical appearance, he’s looking for a woman with a particular job. That job, of course, is Victoria’s Secret model. He’s reportedly dated at least ten, and most of them have a very specific look. Can you picture it? 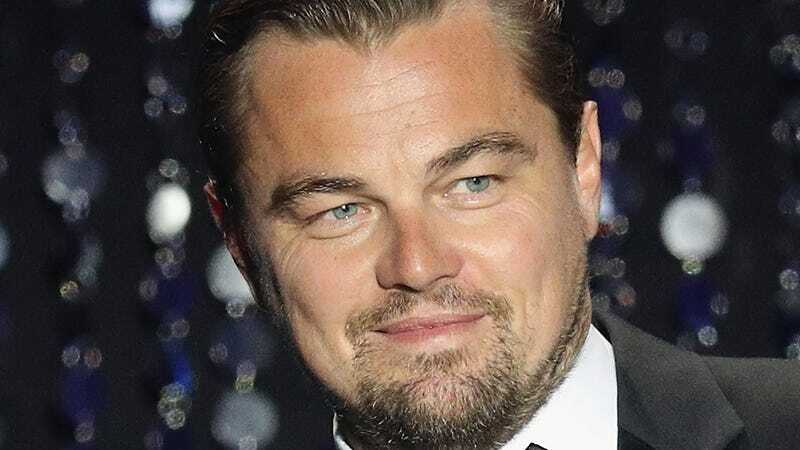 Shut your eyes and imagine Leonardo, hair and clothes unwashed, smiling on a Citi Bike. He’s stopped at an intersection with his weight shifted to the left side. One hand is on the bike, the other is holding an iced coffee. Got it? Good. Now pull yourself back—zoom out with your mind—and see if you can picture the woman on a bike behind him. He’s not talking to her, no, she’s just there (she’s always there) lingering with a half-smile. Perhaps she’s mid-sigh. Does the woman you’re envisioning look like..............this? Of course she does! Congrats! You did it! Amber Heard has withdrawn her request for temporary spousal support. The estranged wife of Johnny Depp “only asked for it because she thought it was standard operating procedure in a divorce case,” and that she’s decided to take money off the table while focusing on the real issue.